Having a pet is like having a furry member of the family. We give them food, shelter, toys, and they love us back. But, like their owners, each animal has different needs. There are, however, a few things that every pet has in common, whether it meows, neighs, or barks. These 4 tips will help you keep any furry friend healthy and happy. The #1 way to keep your furry friend healthy is to make sure it has all of its vaccinations. All different types of animals require different vaccines. Some, like heartworm, are common to all animals, but have different dosages depending on weight and species. The best way to ensure that your pet is properly vaccinated is to visit your vet. Another way to keep your pet as healthy and happy as possible is to make sure he or she is getting proper nutrition. Talking about your pet’s age and activity level with your vet will help you and your vet make sure your fuzzy friend gets the right balance of nutrients he or she needs. Equally important to getting proper nutrition is making sure your pet is at a healthy weight. Just like humans, weighing your pet regularly serves as important health indicator of your pet’s health. Overweight or a sudden weight decrease can be a sign of a serious underlying health issue for your pet. It is recommended to weigh your pet at least twice a month. 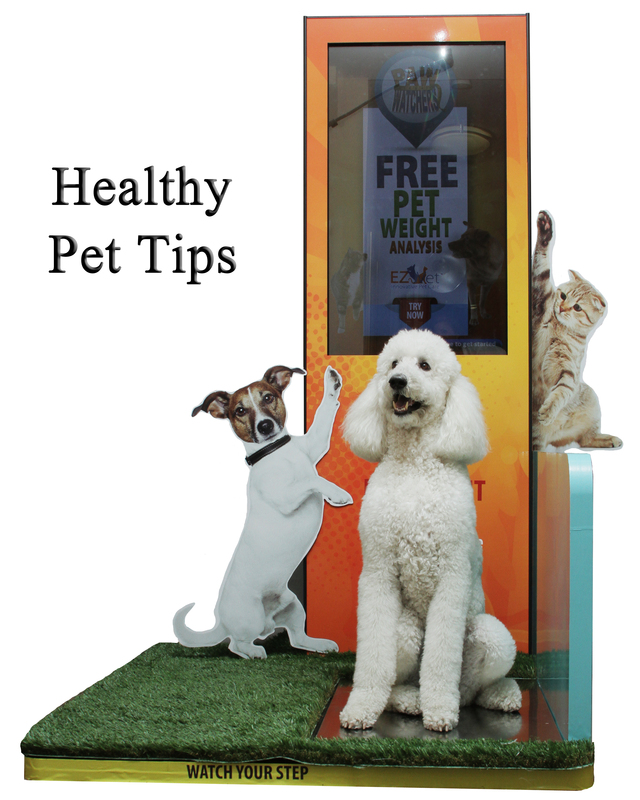 EZ Vet pet weight kiosk offers a free pet weight analysis making weighing your pet easy and convenient. A third tip for keeping your furry friend healthy is proper exercise. All pets, big or small, need exercise. The type of exercise depends on the type of pet. 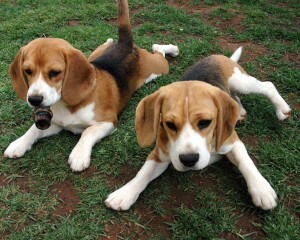 For example, in dogs, exercise helps stimulate their minds, which helps avoid boredom and destructive behaviors. Cats need imaginary prey to chase and stalk as well as scratching posts. Regardless of what kind of furry friend you have, exercise will keep your pet trim and fit, both mentally and physically. Keep an eye out for ear mites and other illnesses. They are a common problem for cats and dogs especially. If your pet is constantly shaking its head or scratching its ears, then he or she might have ear mites. These can be spread from animal to animal, and may require being thoroughly cleaned out before medication is prescribed. Check for any irregular behavior that could indicate disease. Every human life is enriched by having an animal companion. From the unconditional love they give us, to the constant support, the benefits of having a pet are tremendous. Following these 4 tips, and regular visits to the vet, will guarantee that you and your pet have a long and happy life together. Share the post "4 great tips to keep your pet healthy"